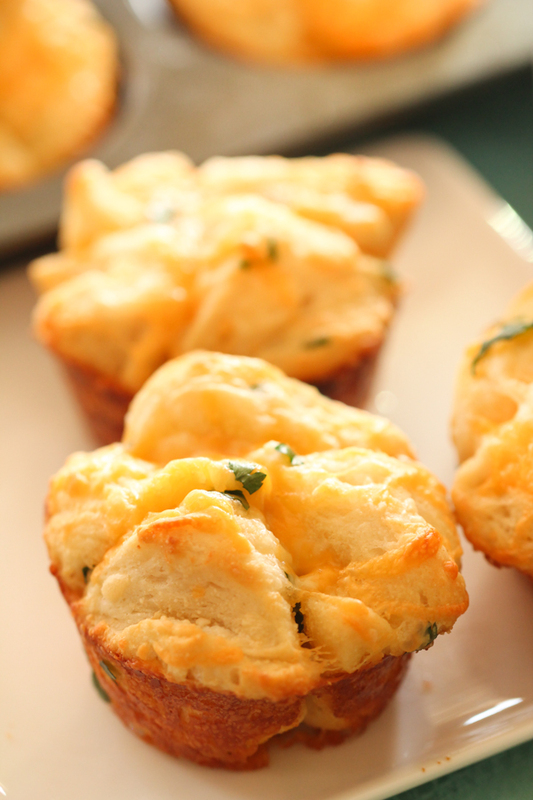 Cheesy Pull Apart Biscuits are easy to throw together. It's the perfect side dish when you feel like your meal needs one more dish. They are ingredients we often have on hand and you can have it on the table in less than 20 minutes. They are so yummy served warm. These cheesy biscuits are so heavenly. Each bite pulls you in for more! We love them with a bowl of soup on a cold day. Did I mention how amazing your house will smell when they are cooking? It’s comfort food at its finest. 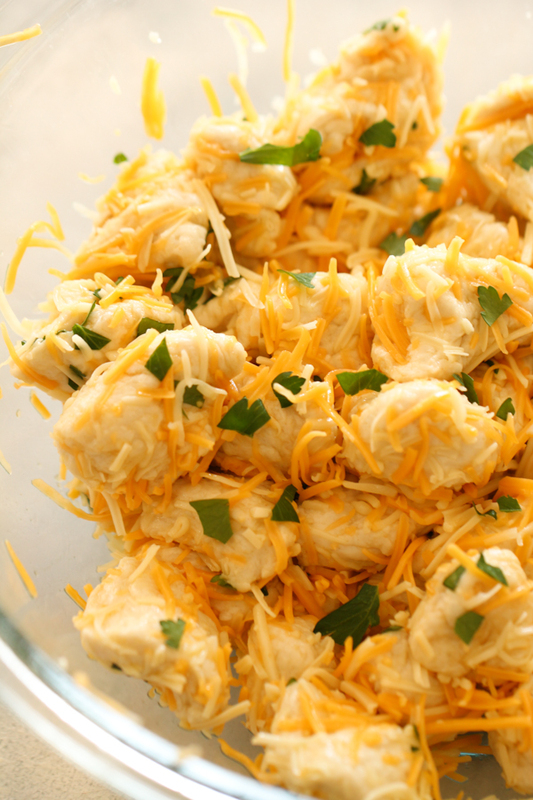 We love any recipe that is warm and cheesy. 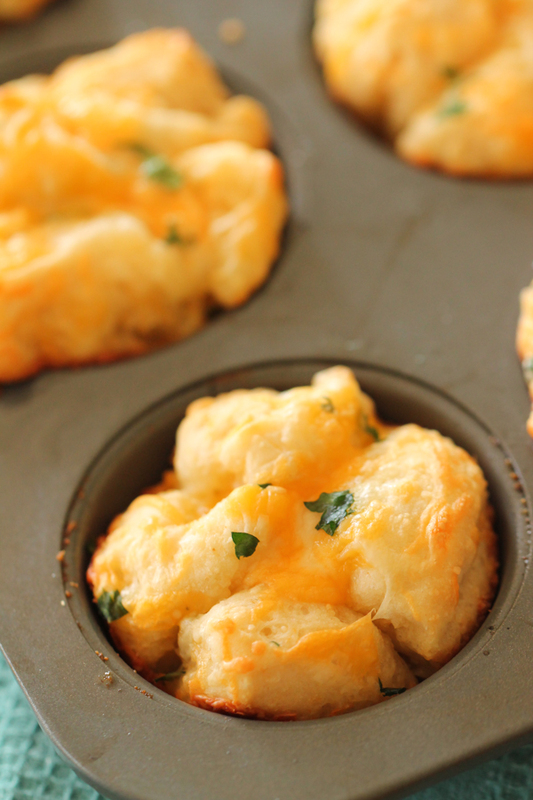 These make 12 cheesy pull apart biscuits. If you are lucky enough, you make get 2. We found that we had all of the ingredients on hand for these cheesy pull apart biscuits. And they were inexpensive to make. 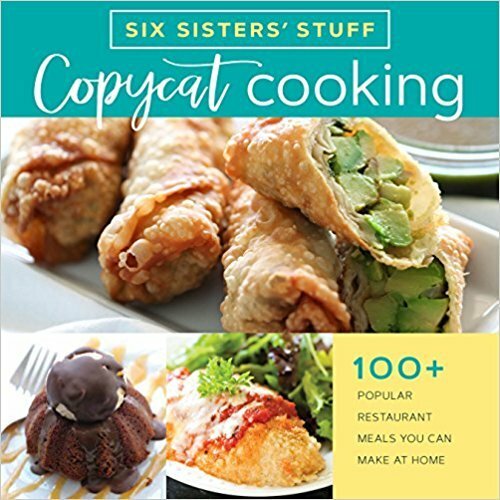 This is a great recipe to add other ingredients that you love. We have switched up the seasoning in these biscuits. We like to add Italian Seasoning for some added flavor. You can also give these biscuits a pizza twist. Add in some mini pepperoni and mozzarella cheese. Right before you cook them you could drizzle a little pizza sauce over them and let that sink down into the biscuit pieces. If you are lucky enough to have leftovers, they are so easy to store. You can place them in an airtight container and keep them in the fridge. We have also put the leftovers in a large gallon size ziploc bag and place it in the fridge. These cheesy pull apart biscuits should be fine in the fridge for a few days. Then just reheat in the microwave when ready to eat. Spray at 12 count muffin tin with non stick cooking spray. Cut each biscuit into fourths and place in a large mixing bowl. Add in the garlic powder, onion powder, olive oil, cheese, and parsley. Place 3-4 pieces of the biscuit mixture into each muffin cup. Sprinkle lightly with Parmesan cheese. Place in the oven and bake for 11-14 minutes or until golden. Good Grips Mixing Bowl – A great mixing bowl that grips to your counter top – no sliding around. 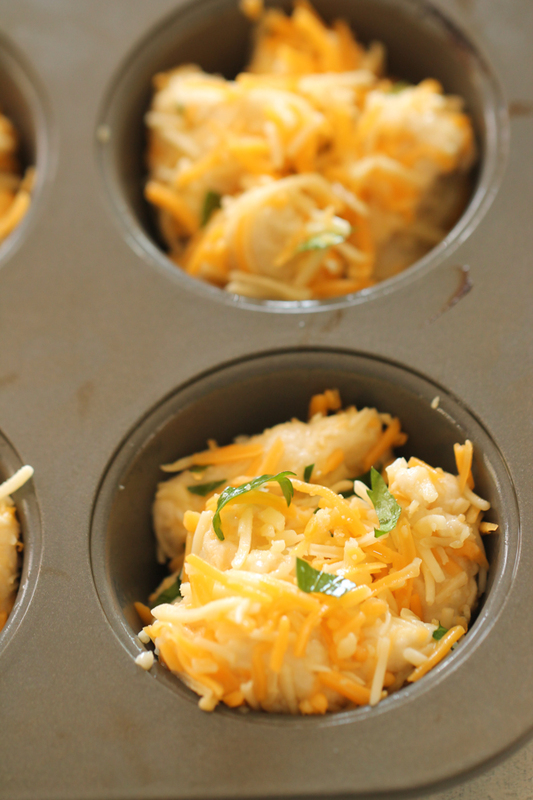 Muffin Tin – Non stick muffin tin is great for muffins and cupcakes. Kitchen Shears – These kitchen shears work great for cutting biscuit dough. We love cooking with biscuit dough, it’s so easy to work with and tastes amazing. Spray a 12 count muffin tin with non stick cooking spray. Cut each biscuit into fourths and place them in a large mixing bowl. Add in the garlic powder, onion powder, olive oil, cheese, and parsley. Mix together until combined. Place 3-4 pieces of biscuit into each muffin cup. Bake for 11-14 minutes or until biscuits are golden. Watch how easy it is to make copycat Red Lobster Cheddar Bay Biscuits.